The Newland Chase Asia-Pacific team is based in Singapore and has more than 25 years of experience supporting Singapore and other Asia-Pacific countries including the ASEAN countries, India, China, Hong Kong, Japan, Korea and Taiwan. In the global business environment, we recognise the increasing need to be able to deploy staff anywhere in the world at short notice and so we also offer global immigration services across a wide range of countries. Ever more complex legislation can dramatically impact upon the deployment ability of businesses and we utilise our expertise to ensure your immigration process runs smoothly wherever you are in the world. We work with our network of qualified and professional immigration partners in the region to deliver bespoke immigration services to our clients locally. In the event of a complex requirement, we can engage directly with the people that matter in local government in order to find a workable solution. We provide consultative solutions that are designed to streamline the visa and immigration process which results in minimising risks to your employees and business travellers within the framework of a safe and compliant program. Case Management & reporting including maintaining immigration records, visa and work permit renewal tracking and cost tracking. What are the different types of employment visas available for working in Singapore? Employment Pass (EP) This is the most common category used by a company for both intra-company transfers and new foreign hires. This category is to cater for Professionals, Managers, and Executives. A separate sub-category known as S Pass is to cater for mid-level skilled foreign employees. Personalised Employment Pass (PEP) The PEP is for high-earning foreign professionals who meet the earning requirement. As the PEP is not tied to any employer, the holder is free to change employer without having to apply for a new EP. The validity of the PEP is 3 years and it is not renewable. EntrePass The Entrepreneur Pass is for eligible entrepreneurs who want to start and operate a business in Singapore. There are stringent requirements for this type of pass and qualifying businesses. Certain businesses such as coffee shops, bars, karaoke bars, massage parlours and employment agencies are not eligible. Training Employment Pass (TEP) This Pass is to cater for foreign employees undergoing short-term practical training in Singapore. A TEP is valid for 3 months and is not renewable. Miscellaneous Work Pass This is to cater for short-term assignments of up to 60 days. Examples of a Miscellaneous Work Pass include speakers at seminars, journalists, and religious workers. Work Pass Exempt Activities Foreigners can work in Singapore for a short time without a work pass provided this falls under the Work Pass Exempt Activities.  Examples include providing expertise relating to the audit of new plant or equipment and the transfer of process/operations knowledge in Singapore. Note that the duration of the exemption is capped at a maximum of 60 days or the validity of the entry visa, whichever is shorter. It is further subjected to a cumulative total of 90 days per calendar year. A work pass is required if one works beyond 90 days. Work Holiday Program This is a program for eligible students or young graduates to work and holiday in Singapore for up to 6 months. The work pass is issued on a first come first served basis subject to a quota of 2,000 at any one time. For migration advice and support contact us at one of our office locations or send us an email by clicking on the button below. Our Singapore immigration team consists of highly qualified consultants dealing with a range of clients and industries, from large multinationals to small start-up businesses. We also have a wide range of language capabilities within the team meaning that more often than not, we can liaise with our clients in their preferred language. You can be certain that your case will be handled with flexibility and initiative by a qualified and experienced advisor. We have a dedicated core team with in-depth technical and customer service orientated experience. Our professionals have both in-house and client advisory experience and are affiliated and recognised by numerous Immigration Practitioner associations. As Managing Director of Asia, Voon Lee leads the firm’s business development and client management and service delivery in Asia, also leading the team of Singapore Immigration Specialists. He has over 14 years of global and regional immigration experience dealing with both major international corporations and individual high net worth clients. Voon previously worked as an international assignee himself in Hong Kong and China for seven years and has developed an in-depth knowledge of the region. He holds a degree in Computer Science and Accounting from the University of Manchester in the United Kingdom. In the global business environment, we recognise the increasing need to be able to deploy staff anywhere in the world at short notice and so we also offer global immigration services across a wide range of countries. Ever more complex legislation can dramatically impact upon the deployment ability of businesses and we utilise our expertise to ensure your immigration process runs smoothly wherever you are in the world. In the event of a complex requirement, we can engage directly with the people that matter in local government in order to find a workable solution. Our initial assessment is carried out by experienced Immigration Consultants to ensure the selection of the correct visa and/or work permit type to meet your needs. You will deal only with our accredited, professional and experienced consultants. Once this has been confirmed, we will then handle all aspects of the application process. You can review a summary of Immigration requirements for Singapore below. Which industries commonly employ expats in Singapore? A broad range of industries are open to expats seeking work in Singapore. These include the finance, IT, petrochemical, pharmaceutical, construction, manufacturing, healthcare, retail and tourism industries, as well as the advertising and marketing sectors. Furthermore, many international corporations and businesses have their headquarters or regional bases here as Singapore is an ideal platform to reach into the nearby Asian markets. For corporate sponsored applications such as EP and TEP, the application can be submitted online or manually either by the employer or agency accredited by the Ministry of Manpower (MOM). Individuals can submit PEP, EntrePass and Work Holiday Program applications either manually or online via MOM website. The application materials required will vary depending on the type of work pass being applied for as well as the individual case. Typically, for a standard EP application, one will need to submit an education certificate, resume, and company registration certificate. For an EP, the online application will typically take 1-2 weeks to be processed while manual applications can take 4-6 weeks. Bear in mind that in some cases where an individual background search or company qualification is required, the process timeline may extend beyond the standard time. If your application is submitted manually via mail, or if a Sponsor is applying for you, the processing times are around 5 weeks. For an EP, first-time applicants will usually be given a validity of up to 2 years. Subsequent renewals can be for up to 3 years. Can I come to Singapore on a tourist visa to seek employment? If you are in Singapore on a tourist visa you may search and apply for jobs. Nationals from the United Kingdom do not normally need a visa to enter Singapore for up to 90 days for tourism purposes or business discussions. However, you must make it clear to any prospective employers that you cannot undertake any form of work for them until they have applied for and been granted an Employment Pass on your behalf. If I have a partner/spouse/child living in Singapore, can they sponsor me to live there? EP and S Pass holders with a minimum monthly fixed salary of S$5,000 or above and PEP holders are eligible to sponsor their spouses and unmarried children for a Dependent Pass (DP). Other family members such as common-law spouses, unmarried step children and parents are eligible for Long Term Visit Passes (LTVP). Note that work pass holders will need to have a minimum monthly fixed salary of S$10,000 or higher in order to be eligible to sponsor LTVP for their parents. Can I get a job in Singapore after my family sponsors my residency? Dependent Pass (DP) holders are allowed to work upon obtaining a Letter of Consent from the MOM. The application can be submitted by the employer of the dependent. Alternatively, the dependent can also submit an application for any of the work visa categories mentioned earlier. Note that all applications will be reviewed based on the dependent’s merits. Upon approval of the work pass, the dependent will need to cancel his/her existing pass before the newly approved pass can be issued. Can I apply for permanent residency when I get my employment visa? EP, PEP and EntrePass holders are eligible to apply for permanent residency after spending some time in Singapore. There is no standard qualifying timeframe. As a general indication, a minimum of 1 to 2 years is required. Does Singapore have single and multiple visa entries? How do I get a multiple visa entry? Most OECD and ASEAN member countries do not require an entry visa to Singapore. Travellers from these countries can enter Singapore for up to 90 days. However, the duration of stay is granted at the discretion of the immigration officer at the point of entry. Any visitor who requires an entry visa can apply for a single or multiple entry visa which is subject to approval. Note that a Singapore visa is not an immigration pass. It is a pre-entry permission for the holder of a valid Singapore visa to travel to, and seek entry, into Singapore. The issuance of an immigration pass will be determined by the Immigration & Checkpoints Authority (ICA) officers at the point of entry. Possession of a valid visa alone does not guarantee entry into Singapore. You should plan the application process well ahead of time taking into consideration the timeline required for each process and also the time required for preparing the necessary documents. You should only make travel and lodging arrangements upon receiving the In-Principle Approval of your EP and DP applications. An Immigration consultant can ensure that this part of the process goes smoothly. Please consult Newland Chase for more details. Relocation agents can help with securing accommodation and shipping items to Singapore to make the transition stress-free for you and any accompanying family members.